What researcher doesn’t want a photo of their veteran ancestor in uniform surrounded by their crew-mates? It’s even better when the faces in the photo are officially identified. Few researchers dig deep enough to locate military photos of their ancestors. But we may find a photo for our veteran? (Resources for other branches will be in a subsequent blog). Fold3.com a subscription base website opens our world to digitized military records. If you want to just test it out, try your local genealogy center, a regional National Archives branch (NARA), or your local Family History Center. Fold3.com is chocked full of photos. But patience and perseverance is needed. 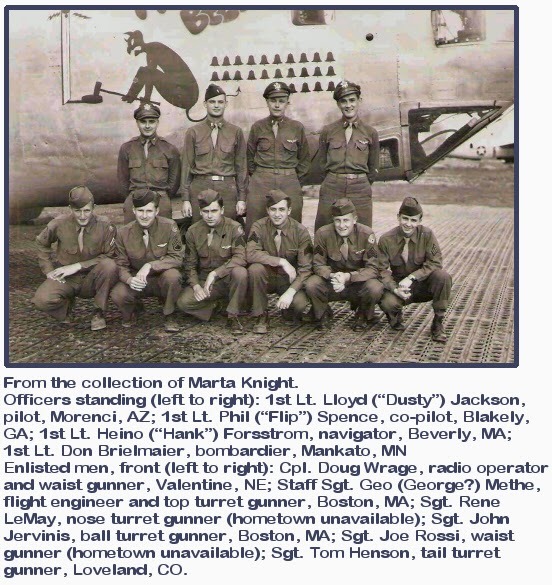 In the WWII US Air Force Personnel Photos by country: Italy, England, Northern Africa, West Pacific, etc., there are about 240 photos. (If you have access to the Fold3 account, just click on the link provided. More photos can be found in the NARA Textural Records (see #5, below). University libraries: Although I’d love to give researchers a guideline of which library to contact for your needs, I’ve found there’s no true rhyme or reason to how a collection ends up at any particular library. Ball State University of has Oral History for the 376th Heavy Bombardment Group, 1939 - 1945 that was recorded in Albuquerque, NM. Whereas, the University of Houston Digital Library can boast to housing a collection of VMB-613 Marine Bombing Squad Photos. Websites and Organizations dedicated to Company, Crew, or Group histories. If you like to sit in front of the TV and Google, you can definitely come across some great finds in Veteran reunion websites. 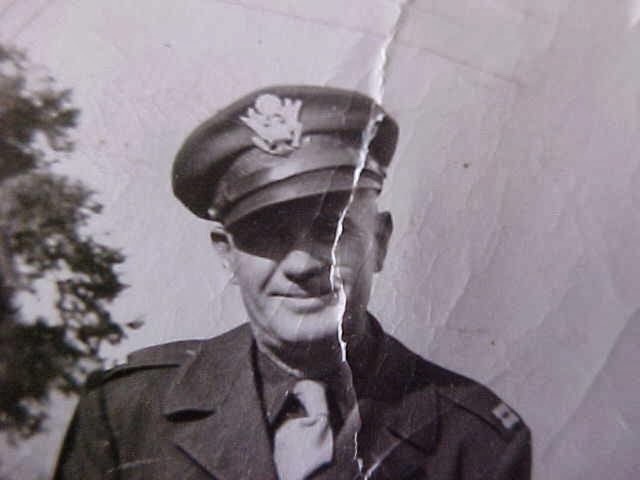 Families who post about their soldier, may also be sharing a photo of yours. We found a great collection for the WWII, 464th Bomb Group for one of our clients. The Department of Defense POW/Missing Personnel Office. With tragedy cam a lot of paperwork and sometimes photos were attached in Incident reports. The Individual Deceased Personnel File (also called a 293 file) contains information directly related to the circumstances of someone's death. NARA Collections Textural and Still Pics, College Park, MD. Tackling the NARA can be daunting. But the treasures seem to be never ending. 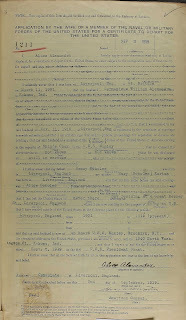 Merchant Marine Casualty files can be found in RG 26, Deceased and War Casualty Seaman's Records, 1937-50. US Air Force Photo Collection, WWII, can be found in RG345. There are additional photos of US Air Force in RG342. The researcher will leave thinking, so many boxes, so little time. But the visit is worth it as long as you work with the Archivist on duty and not try to tackle this job on your own. Presidential Libraries, Right when we think we have exhausted all possibilities of finding a photo for our WWII veteran, we learn that additional photos are scattered between the Presidential libraries. Harry S. Truman Library is the most likely starting point, but don’t forget the Dwight D Eisenhower Presidential Library in Abilene, KS. Its World War 2 Participants and Contemporaries Collection is the home of over 80,000 pages of personal papers, diaries, printed material, and photographs of veterans who served overseas or on the home front. WWII crew photos are not guaranteed to jump in your line of sight immediately. But, researchers need to know not to overlook this opportunity of finding that one photo of their veteran. 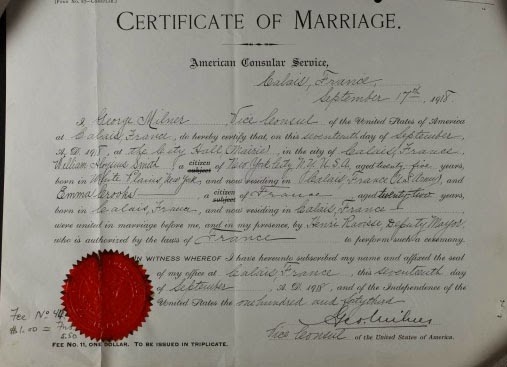 We are always looking for our immigrant ancestors records. 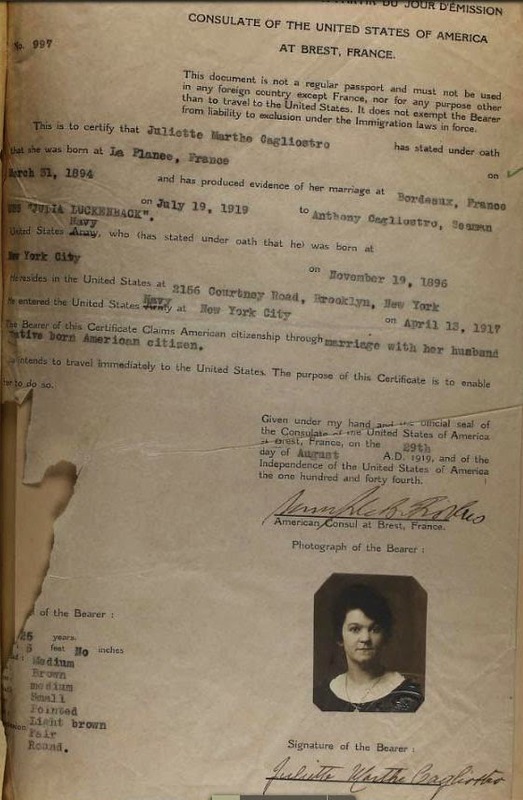 Naturalization records are the key to reaching across the pond to continue our family research. 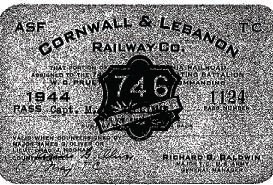 And, they hold so much genealogical information: passenger arrival dates, homeplace, parents’ names, children if applicable, etc. Rarely do researchers look for their ancestors’ oath-taking event in newspapers. But, the names were commonly printed across the nation to welcome the new citizens. ☐ Immigration / Passenger Ship Records - The Ellis Island Foundation database (free) is a great place to start. And, don’t forget the Castle of Gardens passenger records. ☐ Social Security Applications may verify parents’ names, birth places (a big key), and even a birthplace of your immigrant. 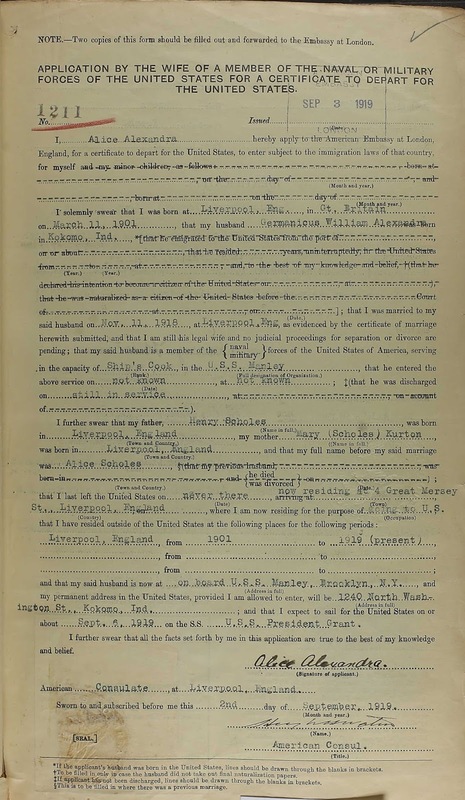 ☐ Voters Registration Application: Know that if your ancestor was a registered voter, he was also a citizen of the USA. Voter’s registration applications may hold immigration and naturalization information embedded in the application. ☐ Passport Applications may hold your ancestor’s naturalization number. Of course other genealogical information including their arrival date to USA can also be found attached to these applications. ☐ Newspapers make five great resources. A slave was sold every 3.6 minutes between 1820-1860 totaling about two (2) million slaves. Almost four (4) million persons were enslaved by 1860 (3,950,528) by 398,975 slave masters. These facts posted at the entrance of the Abraham Lincoln Library and Museum exhibit in Springfield, Illinois either entice visitors to explore the Lincoln era or bypass these dark years of Civil War facts posted on walls and plaques.Perhaps the latter explains the constant flow of patrons to the adjacent Subway. Knowing Civil War era data and statistics may assist the genealogists in solidifying pre-civil war ancestors' social and historical climate. Analyzing state Civil War era as well as local, regional, and national events and political climate, will assist in developing your ancestor's war-era life. The divisiveness caused by this war was not just between Missouri and Kansas or north vs. south. It was reflected within families, neighbors and broader communities. Quarterly postings of its New Genealogy Resources are available on the Abraham Lincoln Presidential Library and Museum website. Hosted on the Illinois Historical Preservation (IHPA) is the "Generations of Pride", an African American chronology from 1619 to present day; and a listing of African American Genealogy Resources at the Abraham Lincoln Presidential Library. Slave research is extended to slave masters. Did your ancestor increase his net worth through slave "property?" 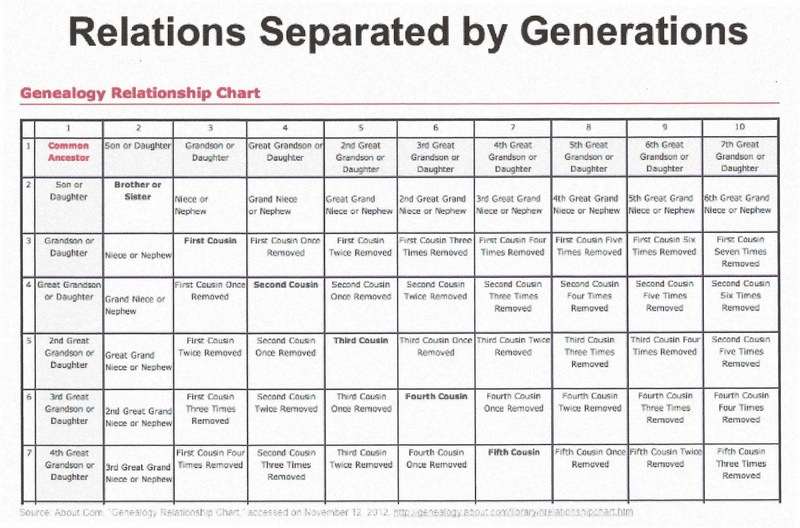 Did your ancestor not enumerate slaves in the 1850 and 1860 slave census? Perhaps this clue will illuminate your ancestor's political, religious or economic standing in the community and on the issue of slavery. Perhaps your ancestor's pre-civil war emancipation of slaves reveals a bit on the issue. Melvin Patrick Ely's book Israel on the Appomattox "describes how Richard Randolph [white], a cousin of Thomas Jefferson, left land upon his death for his former slaves to build new lives for themselves..." In this story, Randolph's character unfolds through slave research. Genealogists often overlook the resources held at the various Presidential libraries, however much is awaiting the researcher. There are 13 Presidential libraries that are governed by the National Archives, but others, like the Abraham Lincoln Presidential Library (ALPL), is governed by a state agency and/or preservation organization. The Abraham Lincoln Presidential Library (ALPL), in Springfield Illinois, has been progressive in preserving pre-twentieth century genealogy. This library actively invites family researchers to visit its growing genealogical collections. NPR website http://www.npr.org/books/titles/138437184/israel-on-the-appomattox-a-southern-experiment-in-black-freedom-from-the-1790s-t accessed 10 Sep 2011. Book in author's personal library.